Does your voicemail system call you when a new voice message has been received? Does it message or page you when someone calls but does not leave a message? Does it send voicemail messages directly to your phone or email? Interpage Voicemail provides a "stand-alone" voicemail box/number which works like any traditional voicemail system, and also includes advanced features such calling one or more destinations to relay new messages, notification of hang-up calls, notification of newly deposited messages, transmission of messages to your cellphone or email, and message filtering by sender, time of day, or day of the week. Interpage's Voicemail accounts are available with local US, Canadian, UK, and other numbers world-wide. 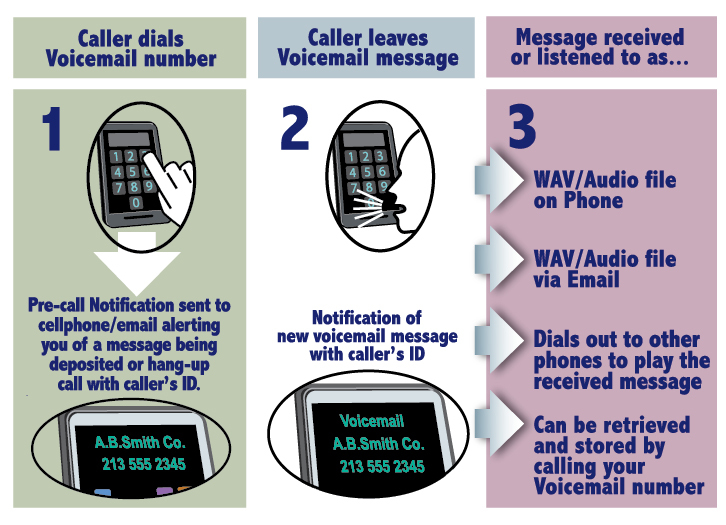 In addition to the dail-out and notification features above, Interpage Voicemail accounts offer Touch Tone (DTMF) voicemail retrieval and account administration, multiple "saved" boxes for work, business, and other received messages, and the ability to receive and store multiple voicemails from callers simultaneously. There is no additional charge for accesss to the Interpage Scheduler for message and notification scheduling and filtration, audio/WAV file delivery directly to mobile devices and/or e-mail, Caller ID/Caller Name delivery or callers, and notification to pagers, mobile phones, SMS mobiles and e-mail both before and after a new message has arrived. Note: For integration services allowing older/legacy voicemail accounts or voicemail systems to message to SMS, Pager, E-Mail, Fax, and Voice notification/relaying of newly arrived messages, please see the Webalert Service page for details. Interpage's Voicemail is a fully-featured, stand-alone, flat rate voicemail service, offering local access numbers in the US, Canada, and Worldwide, with a variety of advanced notification, scheduling, and filtering features. A "pre-call" notification containing the Caller ID and Name (if available) of the caller is sent to one or more cellphones and/or email addresses, even if the caller hangs up and does not leave a voicemail. A "new message" notification containing the Caller ID and Name (if available), and legnth and time of received message is sent to one or more cellphones and/or email addresses. The Voicemail service can also call one or more telephones and replay the received message to the called party. A WAV audio file will be sent to one more cellphones and/or email addresses with the received voicemail. The above notifications may be filtered and scheduled based on Caller ID, time of day, or day of the week, so that only certain recipients receive desginated messages. Additionally, besides standard voicemail applications, Interpage Voicemail can also serve as a useful tool for those who do not wish to give out their cell phone, home or other numbers but still need a way for people to contact them and receive instant notification of the received call. With Interpage's Voicemail service, customers no longer need give out cell or personal phone numbers, but may instead offer a local telephone number which can immediately transmit received messages to many different destinations, which may then be screened by the recipient without having their phone ring or accruing unwanted airtime usage. Interpage Voicemail accounts may be accessed via any Touch Tone telephone for account administration and/or to review messages, change greetings, and generally administer the voicemail account. Customers may avail themselves of "standard" voicemail features, such as a custom greeting, extended-absence greeting, time and date stamp on received messages, Caller ID and Caller Name delivery (if available), multiple "save" malboxes to organize received messages, and more. Multiple local access numbers may also be obtained to send messages to the same Voicemail account, allowing a single point of retrieval for local access numbers in many loclalities, or even from multiple countries worldwide! Interpage Voicemail can also be integrated into other Interpage services such as Paging, FaxUp (receive faxes), and Call-Connect, to provide a single, unified number to callers. Custom voice/menu IVR prompts to multiple voice mailboxes and/or other destinations are also available. Alternately, if only a numeric paging number with local access is required, individuals and organizations may make use of Interpage's DirectPage(sm) service. DirectPage is a related service which offers customers with pagers and/or mobiles based a local paging number in the US or their own country, which can then page them on their mobiles or pagers as well as message them via e-mail, with both the Caller ID and Caller Name, if available. US, Canadian, UK, European, and Asian local numbers are available. The free Voicemail demonstration will allow you to record a brief message, which will then be played back to you on the phone from which you called, and then play the WAV file which was generated by the recording you had just made on the voicemail system. -Call (510) 315-1211 and listen to the recorded message. 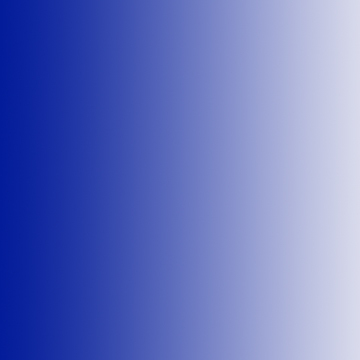 -If you are calling from a US cellular phone, you should receive a brief text message indicating that your message was received and that you will receive your Voicemail Dialout test shortly. -The Voicemail system will call you on the number you called from; press "1" when prompted to listen to your message. After your recorded message is played, you may have it played back one more time (by pressing "1" again), or have the system call you back later (for example, if it was too noisy to hear the message or you need time to write it down) by pressing "3". Note: For the demonstration, you are limited to only one replay or callback; this limit is configurable in the paid service. Note: The Voicemail demonstration service will not work with blocked, private, out-of-area, toll-free, or International numbers, nor will it respond to calls placed from Out-WATS trunks. Additionally, for the time being, only US-based mobile phones will receive the confirmation text message (which only serve to confirm that your test is ongoing and does not pertain to the workings of the Voicemail service). Callers are allowed 3 test calls per week, after which your number will not be allowed to place any additional calls for a period of 7 days (this may be changed after the Beta test based on usage patterns). If you are calling from a Voice-over-IP phone, please allow for some delay or flutter which may be caused by the Voice-over-IP line to/from our circuit-switched facilities; this is an inherrent problem with VoIP and does not pertain to nor affect the functioning of the Voicemail service. Voicemail/001 Interpage Voicemail Plan 001 provides for one, fixed destination (such as a cellphone or email) where all messages are directed to. No scheduling, customization, or filtering functionality is provided. This plan is suitable for customers who intend to have all messages arrive at one end device, such as their mobile phone, or an email address (where their email provider can provide the filtering), etc. Interpage Voicemail/001 with a US local number costs $10 (US) per month, with a $10 one-time set-up fee. Additional access numbers which map to the same voicemail account may be obtained for a $10 one-time set-up fee and a monthly charge of $5. Interpage Voicemail/001 with a Canadian local number is $12.95 (US) per month, with a $10 one-time set-up fee. Additional access nuumbers which map to the same voicemail account may be obtained for a $10 one-time set-up fee and a monthly charge of $5. Interpage Voicemail/001 service outside of the US/Canada is available for $15 (US) per month, with a one-time $10 set-up fee. Additional access numbers in the same or other countires may also have varying prices based upon the given country and location therein; please contact Interpage for a quote for a specific multi-national Voicemail account. Voicemail/002 Interpage Voicemail Plan 002 will send messages to up to 10 destinations, such as cell phones, pagers, email, fax and voice lines, with full access to the Interpage Scheduler/filter. Interpage Voicemail/002 with a US local number costs $20 (US) per month, with a $10 one-time set-up fee. Additional access numbers which map to the same voicemail account may be obtained for a $10 one-time set-up fee and a monthly charge of $5. Interpage Voicemail/002 with a Canadian local number is $22.95 (US) per month, with a $10 one-time set-up fee. Additional access nuumbers which map to the same voicemail account may be obtained for a $10 one-time set-up fee and a monthly charge of $5. Interpage Voicemail/002 service outside of the US/Canada is available for $25 (US) per month, with a one-time $10 set-up fee. Additional access numbers in the same or other countires may also have varying prices based upon the given country and location therein; please contact Interpage for a quote for a specific multi-national Voicemail account. Other Voicemail Plans Interpage Voicemail is also available as a component of other Interpage services and plans, including the ability to integrate it with IVR services (either Interpage's or an alternate provider), as part of a group of voicemail accounts with an Automated Attendant, or Interpage WebAlert service. Please inquire for details.